Description: Galveston Island is the closest island to the city of Houston. The island is a popular place to get away from the routines of city life. There are numerous ways to relax, but perhaps the best way is to visit one of the island's many beaches. 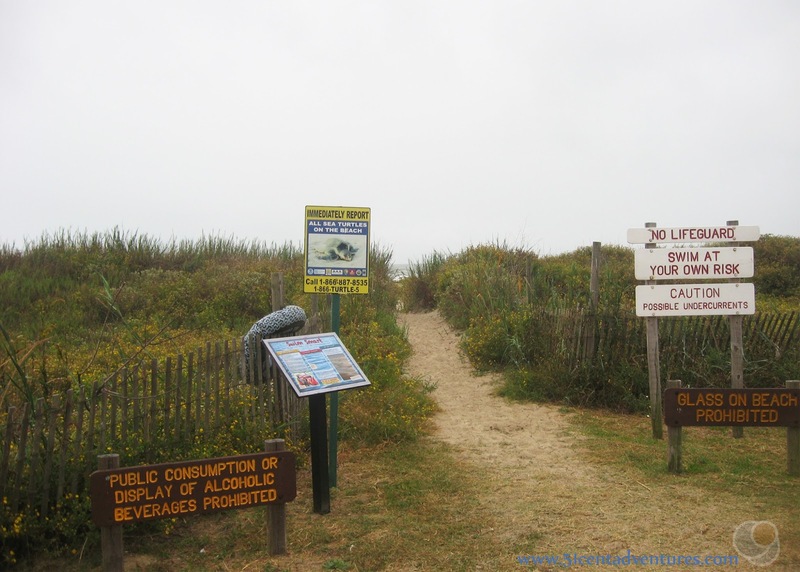 Galveston Island State Park has beautiful natural beaches that are homes to many plants and animals. The park spans from the bay side with its calmer waters to the beach side where you can play in the waves of the Gulf of Mexico. Location: The state park is located to the west of the city of Galveston. It is east of the city of Jamaica Beach. The exact address is 14901 FM 3005 Galveston, Texas. Cost: The entrance fee is $5 for adults, and children under 12 are free. Camping ranges from $15-$20 on the bay side and is $25 on the beach side. There are also two large cabins starting at $200 a night. Operating Seasons and Hours: The park is open daily. Office hours are from 8:00 am to 5:00 pm Monday through Thursday, and from 8:00 am to 8:00 pm Friday through Sunday. Park gates are open from 7:00 am to 10:00 pm. Busy season is from March through October. 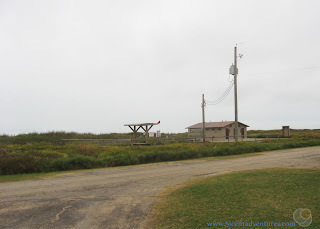 This was the third and last stop on the fifth day of the Texas Coastline Road Trip that my husband and I took our kids on in November of 2014. We finished up at NASA's Rocket Park at the Johnson Space Center, and then drove 30 miles south to Galveston Island. We navigated though the city, turned west, and drove about another 10 miles to find the state park. As we drove down to the island I started to get a little worried about the weather. We were rained on twice during the drive. I was nervous about our campsite for the night. When I'd booked the trip I though it would be fun to sleep near the ocean at least one night. So I'd reserved us a spot on the beach side of the state park. I didn't know if that meant we'd be right on the beach or farther back. I was starting to picture our thin tent perched on the shore being battered by wind, rain, and ocean spray. When I checked in with the park office I thought about asking the staff if we were crazy to think about camping there in a tent that night. Part of me was wondering if we should just try to find a cheap motel rather than try to camp. It turned out that our campsite would be 50 yards from shore and separated from the beach by a small bluff. We could barely see the ocean on the other side of the bluff. This made me feel a lot better about our plan. Also the rain hadn't reached the island. Even though the sky was cloudy the weather was still warm. My husband and I decided that we still willing to camp that night. We were the only family in the park with a tent, but we were used to that by this point on our trip. I'm sure all the retired people were worried about us as they peeked out their RV windows. 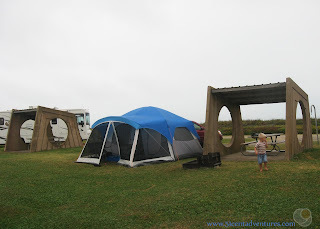 My husband and I decided that it would be better to set the tent up backwards - with the door facing away from the beach. That way the porch would be screened from the wind that would come off of the ocean. My husband was also able to anchor the polls by tying them to the structure that sheltered the picnic table. We were ready for any wind and rain. After the tent was up we were able to do a little bit of exploring. Our campsite wasn't too far from the restroom. I was happy to see that the back of the building had three small rooms with showers in them. Showers always make a trip to the beach so much easier. As my husband got dinner ready I took my son on a walk to the beach. The trail to the beach was the prettiest one we'd seen yet. It was lined on either side by tons of yellow flowers that smelled so good. The smell drifted over to the campsite too. The beach itself wasn't very pretty. Earlier in the year my kids and I had visited Galveston Island and played at Stewart Beach. All the seaweed on that beach had been removed. But that was not the case with the beach at Galveston Island State Park. There was seaweed everywhere. The gray sky didn't help things look any better. My son and I went back to the campsite where we all had a quick dinner of taco salad. The day started getting dark, but the temperature was still warm. Everyone put on swimming suits and headed down to the beach in the twilight. As usual none of the kids even went near the waves. My husband dug a hole like he had at South Padre Island, and brought buckets of water up for the kids "swim" in. The kids had a great time. The older three probably could have stayed there a while longer, but our one year old started screaming from being tired. That put an end to the fun. It was time to for everyone to go to bed. We rinsed the kids off in the shower rooms behind the restroom. Then we brought them up to the tent, and got everyone into their pajamas. The kids gradually drifted off to sleep. I was beginning to think we'd avoided the rain completely, but it started to rain around midnight. It rained the rest of the night. Even though it was raining the air wasn't that cold. Really, the night was warmer than any night I spent camping in Utah's Uinta mountains. Part of me couldn't quite figure out how I was still warm even though it was raining. The kids' side of the tent blew in and started leaking. By morning all the kids had migrated into our bed on our side of the tent. In the morning we had a quick breakfast inside the tent. Since the rain showed no signs of letting up we decided to just pack up the tent and get out of there. 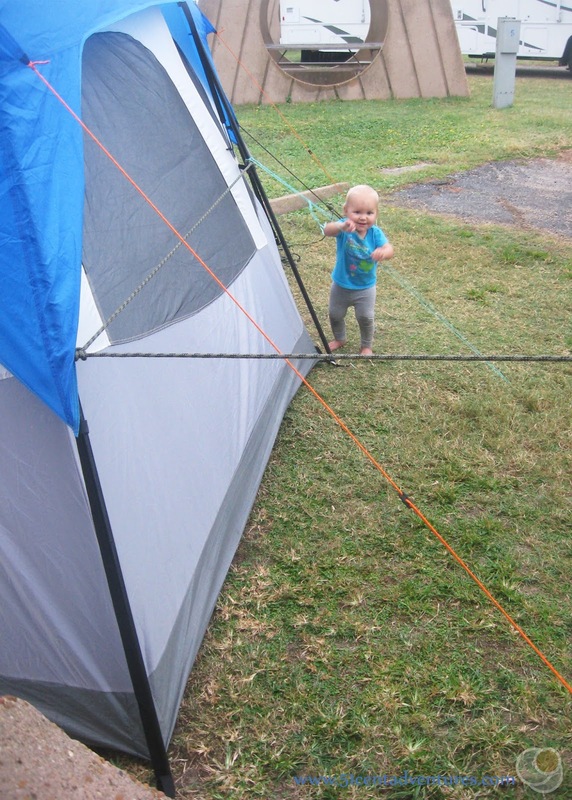 Our kids played around in the car while we took down the tent. After everything was packed up we went to a laundry mat in Jamaica beach to dry some of our clothes so we'd have clothes to wear during the rest of our trip. 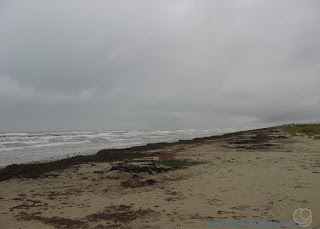 I'll be honest, the rain kind of tainted my memories of Galveston Island State Park. Packing soggy blankets and taking down a wet tent aren't exactly the stuff dreams are made off. Mostly I just remember being wet. 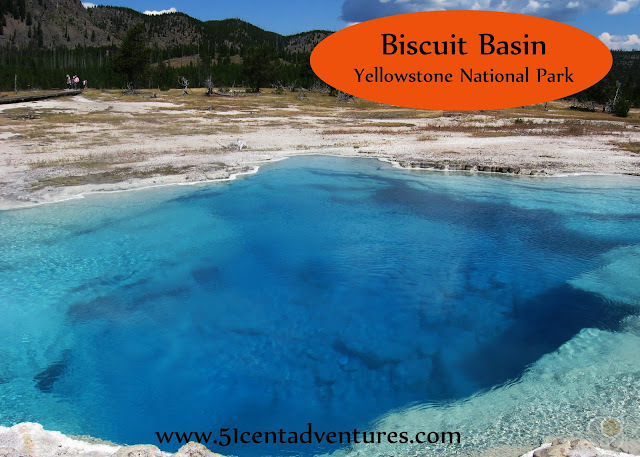 However, I'm sure this state park is great in better weather. My family did have a really good time there in the evening. The kids were sad because we'd told them they could play at the beach again, but the weather made it so we didn't go back down to the beach. 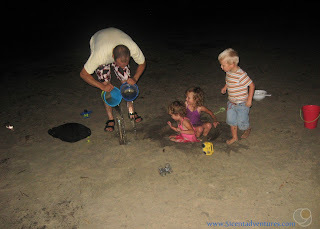 As it turned out, our evening fun on the beach would be our last time on a beach during this vacation. But don't feel too bad for my family. Seven months later we moved to Alabama and are now within driving distance of the beautiful white sands of Florida's beaches. And honestly, Florida's beaches are much better than anything in Texas. Don't get me wrong - there are lots of great things to do at Texas beaches, but if you have a choice I recommend Florida beaches over Texas beaches. 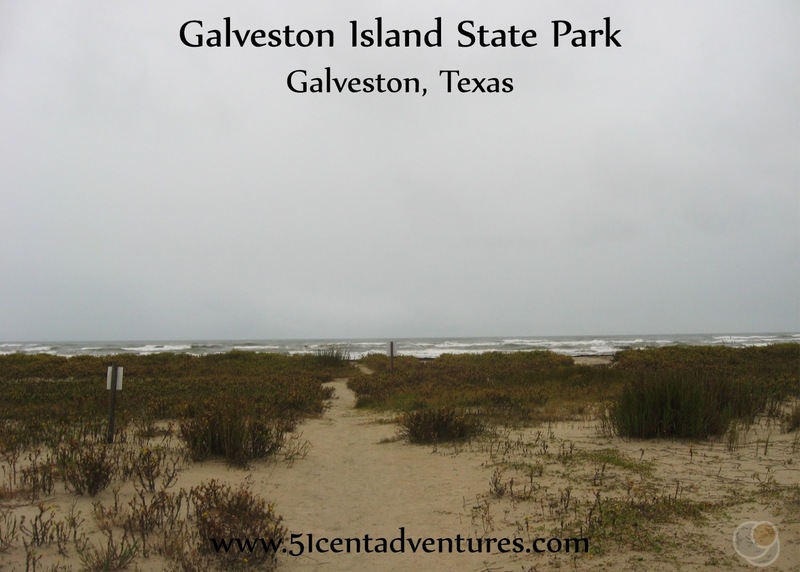 Recommendation: If you want to experience nature while visiting Galveston Island then Galveston Island State Park is a great place to go. Directions: Galveston Island is at the very southern end of I-45. To get to the park you follow I-45 over the bridge onto the island. Take Exit 1A and turn right onto 61st Street. Drive for about a mile and then turn right onto Stewart Road. Stewart Road will curve around and start heading west. Follow Stewart road for approximately 10 miles. The road will curve again and become 13 mile road. Turn right again onto Termini-San Luis Pass Road which is also FM 3005. Follow this road just a little bit and you'll see signs for the State Park. You'll turn left to reach the office and the beach side and you'll turn right to reach the bay side. Additional Information: In 2008 Hurricane Ike washed away much of the park. There are plans to rebuild many structures starting in 2018. Places Nearby: Despite the hurricanes there are many structures on the island that have stood for over a century. There are many historic mansions and buildings that offer tours. Galveston.com has compiled a list of these historic places. If my kids were older I definitely would have wanted to tour at least one of the mansions. Next Stop: Technically we went to the Texas Seaport Museum next. However, I realize this post ended on a kind of dismal note. So I'm going to tell you about two better trips to Stewart Beach that we took earlier in the year.